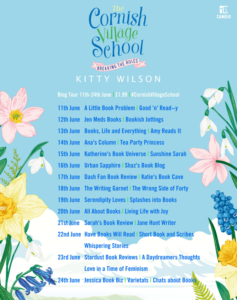 I’m pleased to be reviewing The Cornish Village School by Kitty Wilson today and I also have a guest post by Kitty with her tips for writing romance. My thanks to Ellie Pilcher from Canelo for the place on the tour and for providing a review copy via Netgalley. Awwww. That’s what I thought when I finished The Cornish Village School. It’s a really sweet read with some lovely characters and a gorgeous setting. Cornwall is a very popular place for authors to write about and I understand why, as it’s a beautiful county. The focus in this book isn’t so much about the setting though, but about the effects of living in small villages and how, if you’re not careful, everybody knows your business. That’s what Rosy Winter is afraid of. 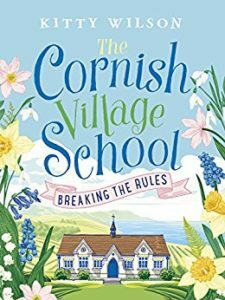 She is the headmistress of the delightful-sounding Penwenna Village School and, for reasons that become clear throughout the story, she likes to keep herself to herself. If she goes on a date it’s with someone from another county! Then Matt moves in next door and she finds herself contemplating breaking her own rules. I loved Matt. He’s a gardener with an upcoming new gardening TV show. He’s just lovely in every way – Mr Perfect in fact! So I did find myself becoming a bit annoyed with Rosy and how she was treating him. I kind of wanted to knock their heads together. But every good fictional romance needs a bit of turbulence before settling down and we certainly have that here. I did still like Rosy though, even though she’s a bit of a tricky customer. She’s a good woman, down to earth and a fantastic head. When the school is threatened with closure she fights tooth and nail to stop it happening. Her spark is part of what makes Matt attracted to her. 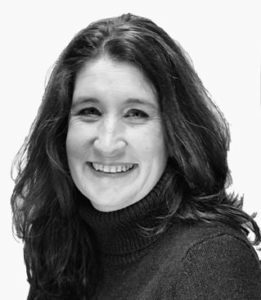 I must just mention the chair of the PTA, Marion ‘Monster’ Marksharp. She’s a fantastic creation and I can just imagine every school having somebody like her, causing all who meet her to quake in their boots. She was great! This is a lovely read. It’s brimful of romantic tension and there’s lots of fun in the story. Kitty Wilson has a light writing style and I think this book is an ideal summer romance read as misunderstanding and conflict lead to love and understanding. I love writing romance, I’ve always been a crazy romantic and absolutely believe in forever love. Although I do think you need to work at it. I don’t think we necessarily find it first time around, although some people are that lucky – (two of my dearest friends met in school and their love had to cross continents and cultures once school was over, and in days before mobile phones and the internet. They remain together today, and still hold hands when they think none of us are watching, until our exaggerated vomiting noises alert them) and some of us find it later in life when we’ve learnt a bit more about who we are and what we need. I remember thinking in my late thirties that I had missed the boat, gave up looking completely and resigned myself to happy spinsterhood when boom, the quirkiest man I had ever met entered my life and I’m rather hoping he stays. I think to write romance we do need to have certain things. All of them can be played with and turned inside out, otherwise we would get terribly bored, but there need to be some obvious constants. A believable heroine. All of us are flawed, we are (even if it’s just a teeny-weeny bit) and we want a heroine that we can empathise with, or at least I always have. I read for escapism but still I want a female protagonist that I can root for, and that means she can’t have the perfect life or I lose all sympathy. Make her real, make her likeable and make her someone we believe deserves that Happy Ever After. A to-die-for hero. For me, integrity is far more important than a twinkly eye but combine the two and I’m in love. I find writing heroes easy, I just write the kind of man I respect, add those flaws and throw in strong arms as well. It’s important to give him characteristics that make him more than just physical fantasy fodder, he has to have personality shine through too. After all, he needs to deserve our heroine. Conflict. There has to be something that stops the two of them meeting, falling in love and running off together instantly, otherwise you only have a chapter not a book. I find that in life nearly everything can be resolved by honest open communication; however how many of us are brave enough to do that, especially with someone we have a bit of a crush on? I struggle to string a coherent sentence together in the face of beauty let alone articulate my hidden fears and deepest wishes. We’re hampered by social constraints, insecurities, all manner of things and, just as in real life, these things make romance hard to find and hang onto and so it should be in fiction. Decide where the conflict lies for your characters and let them struggle with it. The harder we work for something the more we enjoy the reward. Sizzle – there needs between sizzle between the two, without chemistry there is no point. Even though something is stopping them from ripping each other’s clothes off, make it clear they really do want to. They need to be fascinated by each other and desperate to know more about this person they have just met. There does need to be emotional context as well. We need them to have seen something in the other person that wants to make them stick around. If it’s just nice abs or long legs and flicky hair, then it isn’t going to last five minutes and we, as readers, just aren’t going to care. Dialogue – the two can’t just smoulder at each other across a room, at some point they need to talk. I’ve been having imaginary conversations in my head all my life (I’m assured this is nothing to worry about) and the page is the perfect place to put that witty comeback you thought up the day after, that quick retort you wish you were capable of in real time and in real life. The page waits – get it down and when you think of something better you can add it later. Speak it before you write it, if you like. Imagine having that conversation with someone you know that shares similar traits to your characters, what would they say back to you. You can even act it out if that helps, although you might want to close the curtains first. Dialogue is a great way of shaping your characters, as you write you’ll get to know them better and what they say and how they say it is a vital part of that, initially for you the writer and ultimately for the reader. However, don’t forget what we don’t say is often just as important. Include it! Obviously, a lot more is needed to make a story successful but give enough thought to these five things and you have a strong place to start from. If it’s fun to write then chances are it’s going to fun to read. Whilst you do have to actively open the laptop and type, if you’re extra lucky the characters take over after a while and it almost writes itself, with you in the background watching over, reining them in and reminding them not to waffle. This isn’t like writing an essay in school where you’re just desperate to make the word count, each scene or chapter should have a point, a raison d’etre. And one final note – I’ve used the terms hero and heroine, but romance isn’t confined to only to one type of relationship, write what is important to you and be proud of your words, they didn’t exist until you put them there. Thank you, Kitty. Having read The Cornish Village School I definitely spotted all five of your must-haves.